Gmail is the most popular email service with more than a billion users. It’s safe, easy to use and comes with 15 GB of free storage. Moreover, it offers a wide range of customization options than any other mail client. But how many of us know about its exciting features that bring more functions in the mailing? Here are some quick Gmail tips that will help you to become a power user. Do you know you can use Gmail in various languages including regionals? Choose your language, input tools to use Gmail in other than English. Go to Language, that comes first under the General tab of Settings to customize this option. If you get lots of messages addressed to someone else, check if someone is accidentally forwarding their mail to you. Open such emails and click on down arrow, next to the Reply button. Choose ”Show Original”. If you see “X-Forwarded-For” on the next page, that person is forwarding his messages to your email. Contact this person to inform about his mistake. Tired of sending the same message to various accounts? Google brought ”Canned Responses” feature to help you in such situations. 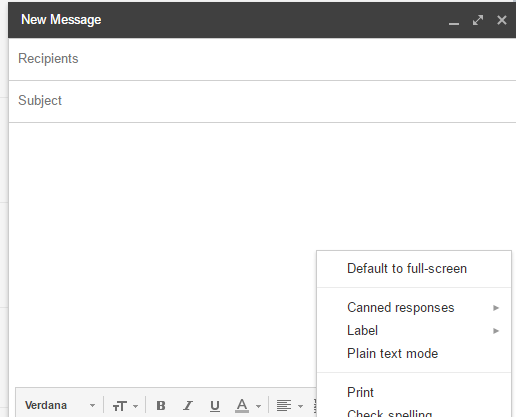 It’s not an inbuilt option, so you have to enable it first from Gmail Labs. Then go to the new message window, click on the down arrow shown at the bottom right corner. Initially, it will be blank. Type something in the message window and save it as a canned response. You can save different responses under different names like that. Choose your desired contacts and send them this message. If you want to send it automatically, apply relevant filters from the Settings panel. Then, for example, if anyone sending emails with the subject ”my resume” or ”want to meet” will get a predefined canned message. After clicking on Send, the message will fly to the recipient. By activating Undo option you can hold the message for a couple of seconds to prevent accidental sent. 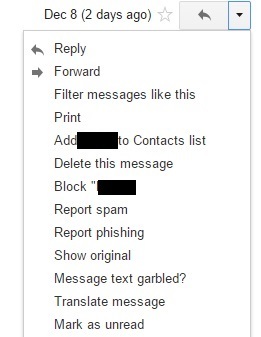 You can change default inbox type, or hide annoying tabs from the current inbox. Go to Settings > Inbox to configure your Gmail inbox. Do you know what will happen if type ‘C’ while in the Gmail window? It will open a new compose window. Similarly, Google supports lots of shortcuts to make use of various functions. Initially, you have to enable ‘Keyboard Shortcuts’ from General Settings to start using the feature. Press Shift+? together to show all Gmail shortcuts in a separate window. These all are default shortcuts but you can customize them as well. 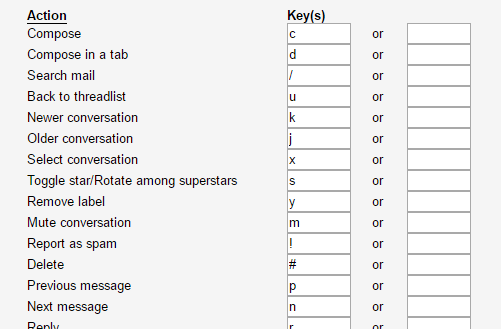 Activate Custom keyboard shortcuts from Gmail Labs. Now you will see a new tab ‘Keyboard shortcuts’, next to Themes. Now you can change these shortcut keys to your choice. Gmail lets you send emails by using your any of your email addresses like Yahoo, Outlook, etc. Recipients will see your secondary email address in ‘from’ address, even though it’s sent from your primary Gmail account. Gmailify is another advanced feature that lets you check all your emails from Gmail account. You can add any third party emails like Yahoo, Outlook, AOL, etc to your Gmail account and any incoming mail to such accounts will be automatically delivered to your Gmail inbox. We subscribe to the mailing lists of various websites and blogs. But sometimes they may spamming on you later or may sell your email address to any marketing company for promotions. If you are not sure about the authenticity of such mailing lists, just customize your email address before submitting to them. Suppose your email is [email protected] and website you are going to subscribe is news topics, give your id as [email protected] to signup. Don’t get confused, the mail will be delivered to your Gmail inbox, even though the given address is different from the original. Create a Gmail filter for such subscribed emails, apply labels or divert them to a new folder to check whether they are spamming on you. In the same way, you can organize all your work emails in a particular folder. Give [email protected] as work email and create a filter to divert all emails you receive in that address to a new ‘Work’ folder. You may be disturbed by group emails, forum threads, and its follow-up comments sometimes. They will be delivered to your inbox regularly, even though you are not interested in it. In such a situation, just ‘Mute’ it to prevent them from disturbing you anymore. Select the relevant thread in the inbox, click on the drop-down ‘More’ option on the top, next to Labels. Select ‘Mute’. From now onwards, you won’t get any notifications from that thread but the same will be updated with regular latest messages. Similarly, you can block a particular person or account if you’re not interested in his message anymore. Open the message and click on the down arrow next to the Reply button. Choose block ‘xxxx” to block this account or Report spam to divert emails to the Spam folder. Preview pane lets you check emails in the same pane instead of a new page. You can choose from a horizontal split or vertical split. After activating the feature, you will see a new tab icon on the top of the inbox, near to the number of messages. Multiple inboxes are useful to manage all your emails from one account but with different inboxes. 1. Set up a filter to auto-archive all emails sent to your work or school address. 2. Customize one of your multiple inboxes to show mail sent to your other address. To do this, go to the Multiple Inboxes tab under Settings and set up one of the panes to search for mail sent to your other address. Authentication icon for verified senders is another exciting add-on to confirm the authenticity of the sender- to know whether the account is a fake or real one. All these options can be activated from Settings >Labs. Do you have own website address (www.yourname.com) and want to check emails ([email protected]) in Gmail? Yes, it’s possible. You can use Gmail as a custom email client via G suite. 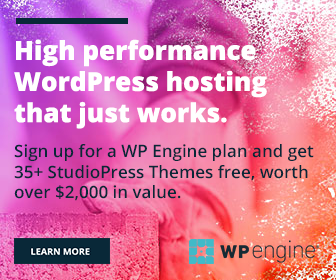 Basic plans start from $5 per user per month with 30 GB of free storage. Login from regular Gmail login screen to your customized account and use email like you are in Gmail. Gmail is a good place to promote your business as well as social media connections without spending any single penny. Most of us are familiar with Gmail’s vacation responder and signature options. Add your website, social media links in both sections next to message and signature. Decorate such links by using relevant icons available on the web or your own. Your recipients will note the icons and at least some of them will visit the links to know more about you.